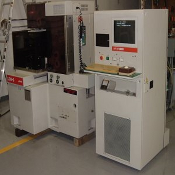 McWilliams Sales & Service, Inc. maintains an inventory of used EDM machines. We feel it is important to be prepared to provide a variety of competitively priced, high-value EDM machines. 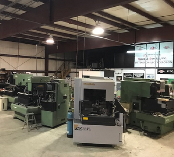 Our inventory includes: Wire EDM, Vertical/Ram/Conventional EDM, Small Hole EDM, EDM Tap Busters/Portable EDM Machines, and both manual and CNC EDM machines. 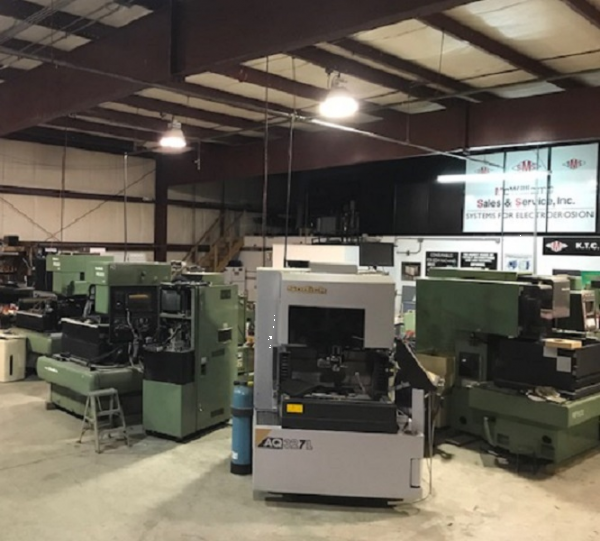 If you are not certain exactly what machine is best suited for your application, we can work with you to determine what you need. 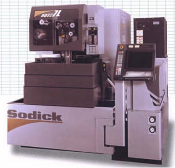 Our used machines include reconditioned Sodick EDM, reconditioned Japax EDM, and reconditioned small hole drilling EDM machines. They have been painstakingly inspected and restored to nearly new condition when needed. Our staff takes a great deal of pride in the refurbishing work they do. Machines are thoroughly tested and run for hours prior to preparing them for shipment. Please take a moment to review our reconditioning process. Information about the EDM machines that are available is regularly updated. We are confident that we can provide the perfect machine to meet your EDM needs. When you purchase a machine from McWilliams we make sure you are prepared to put it to use immediately. We ask that you complete a pre-installation form, so we can be assured that you are prepared to meet the power needs of the machine, and determine if there are any supplies you may need. We provide in-house training and manuals. We are available to assist you in any way we can as you begin working with your ‘new’ machine. Our success is depending on your success.